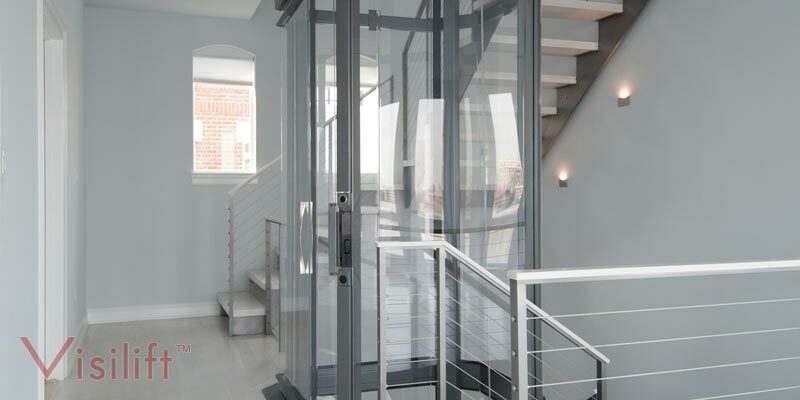 Glass elevators are compact enough to fit into even the smallest of spaces in a home. A glass elevator can provide you with increased mobility and make all floors of your home accessible. A glass elevator takes up minimal space. One model, the Vision 350, has a diameter of just 30 inches. It can carry up to 350 pounds and travel up to four stops. Our most popular glass elevator model, the Vision 450, has an interior diameter of 37 inches for a more spacious, but still compact, design. It can travel up to four stops and transport up to 450 pounds. The Vision 550 model measures 52 inches in diameter, making it large enough to accommodate a wheelchair. It can carry up to 525 pounds and travel up to four stops. 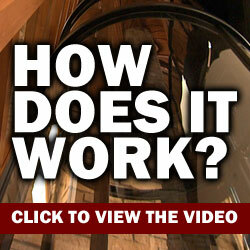 All of these pneumatic glass elevators can attach to a balcony or travel through a hole in the floor. None of them requires excavation for a pit, hoistway, or machine room. 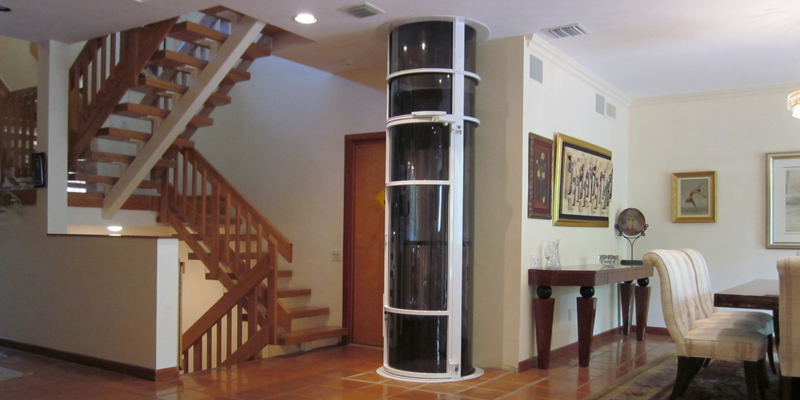 If you would prefer a cable-driven glass elevator for your home, the Visi-48 offers an attractive octagonal design. It measures 48 inches across at its widest point and offers 11.9 square feet of interior space, making it large enough to fit a wheelchair. It can carry up to 744 pounds and travel up to five stops. If you would like a larger model, the Visi-58 measures 58 inches in diameter and has 13.4 square feet of interior space. It can carry up to 830 pounds up to five stops. Neither of these glass elevator models requires a pit or machine room. A glass elevator can be an attractive addition to your home that can increase mobility for you or a family member. Even if you have space limitations, you can find a glass elevator compact enough to fit into your home.